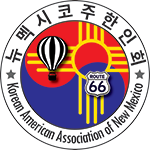 The Korean Language School in New Mexico is offering Korean class for both beginner and advanced Korean language students. If you are interested in Korean language and Korean culture, join us! You will learn how to communicate in Korean and at the same time learn about Korean culture.